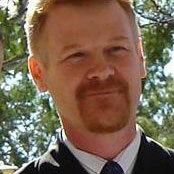 It gives me great pleasure to offer my services to you as your Marriage Celebrant on your wedding day! 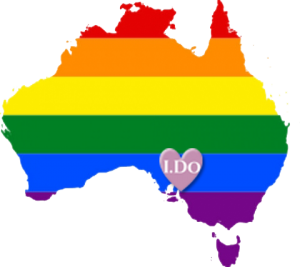 As a registered Civil Marriage Celebrant I am completely aware of my obligations under Australian Law on your wedding day. However, I am also aware that this is your day, and between us we can make it unique and special. Please contact me by telephone on 0400 361 606 or (08) 8322 6624, or, use the contact form and I will endeavour to get back to you as soon as possible. I look forward to discussing your plans with you in more detail. Remember, it is your wedding and it should be conducted your way! Richard was a fantastic wedding celebrant for us, who really contributed to the whole day being so incredibly special. He really ‘got us’ in what we wanted and our quirky ways. His calm and thoroughly professional approach was just the anchor we needed. Sean and I want to thank you from the bottom of our hearts for everything you did for the lead up to the wedding and everything on the day. It was such a memorable day and we thank you for being a part of it. We just wanted to send a sincere thank you for all your hard work at making our wedding ceremony go off without a hitch! We really appreciate it and want you to know how special our day was thanks to you! I have been writing and conducting wedding ceremonies, and other celebrations, since 2008. Over the years I have performed ceremonies in and around metropolitan Adelaide, Regional South Australia and even interstate, working with couples near and far to put together a ceremony they are proud and happy to present to their family and friends. Every time I receive a phone call or email from someone who says ‘we saw you at our friends wedding and…’ this confirms to me, that I am doing the right thing and adding to a couples wedding day. I would like to advise anyone visiting my website that if you book my services for your special occasion, 10% of all fees paid are donated directly to the Breast Cancer Network Australia (BCNA). BCNA works to ensure Australians affected by breast cancer receive the very best support, information, treatment and care appropriate to their individual needs. It supports, informs, represents and connects Australians affected by breast cancer. For more information visit www.bcna.org.au or call 1800 500 258.